Books are such magical things and they deserve a special place in every house. Home libraries in the past had a dark, dusty vibe. But today that is not the case. Home libraries can be beautiful and functional way to display your books and makes your space homier and cozier. 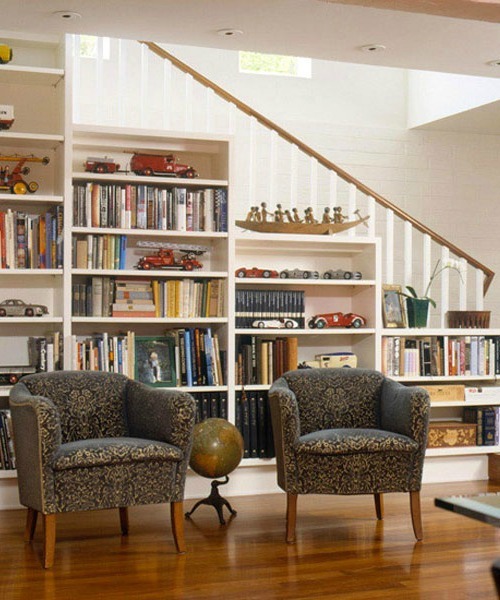 So all bookworms can stylishly create a home library space whether large or small that is both smart and pretty. 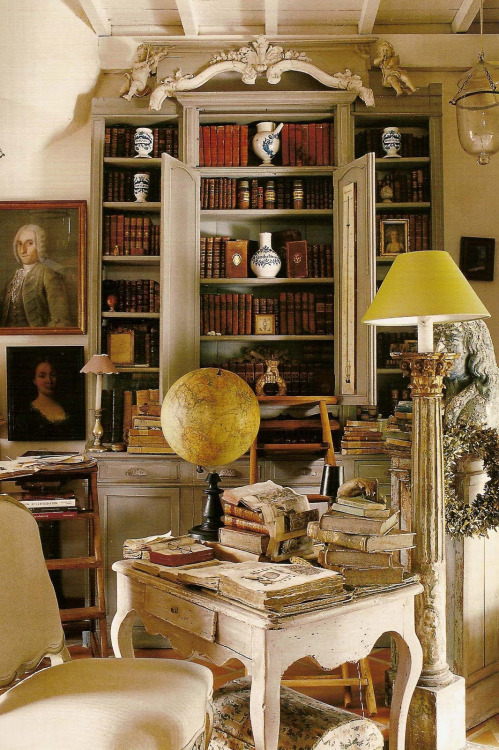 Floor-to-ceiling shelves stuffed with books are delightful things for most of us. The truth is, nearly any wall that could benefit from a large piece of art or a focal point will benefit from wall-covering built-in bookshelves. This is good news for the modern home library: it doesn’t have to be its own room, but can be equally at home as a wall in the living room or even dining room. This strategy turns what could potentially be an overload of random objects into orderly and bright décor. We especially like the white bookshelves with this strategy, because it sets off the colors and keeps everything feeling and looking fresh. Include comfy seating space because there is nothing better than snugging with a good book in a plush chair and immerse yourself into another universe. So scroll down for home library ideas that will make you wish for a library of your own. This entry was posted in Design, Home decor, Inspiration and tagged books, bookshelves, home decor, home decor inspiration, home decorating, home library, ideas, inspiration, interior decorating, interior design, library design, style.